My recent post about disbursed camping rules for disposal of human waste brought me one comment about the hole (aka "cat hole") size that should be dug. 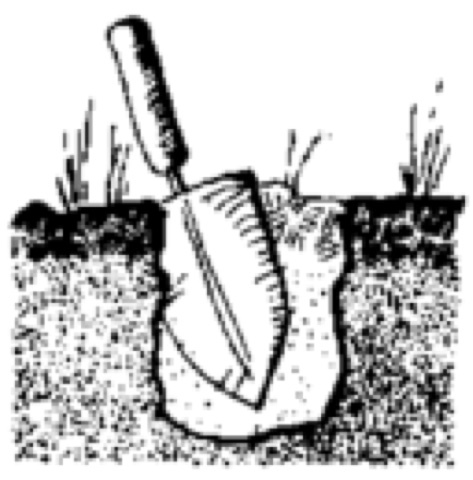 I dig mine at least 6 inches deep and the diameter depends on my trowel or shovel and the type of soil. This question and answer brings up many more potential questions and answers. I.e. Q: What do you do with toilet paper? A: it gets carried out and doesn't go in the hole. I am not the best to answer all the questions or potential questions. There is a very good website called Leave No Trace that can help with all the questions and answers. I will not copy and post as they have copyright terms that need to be followed. Please check out their website and get the whole story about leaving no trace.